March | 2015 | #Hope lives! Today I take stock of my wonderful life and find that there were so many opportunities when I could have let my inner fires blaze up and shine for the entire world to see. Each of us has a unique perspective to life and each one of us has our own universe to live in. It is up to each one of us to find ones life’s purpose and then use it to leave our mark on everything around us. Artists do it through their art, philosophers through their world view and authors through their writings. 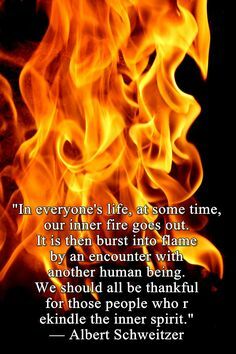 Each of us has his or her own unique gift and it is up to oneself to feed this inner fire or to let it be blanked by our circumstances. Those of us who can stay true to our inner calling can still make something out of our life. It is not up to others to define our life but only we have this mastery. The safest route is the one society shows where you follow its norms and stay within its limits. The boldest path is to strike off on one’s own and follow the path that no one else sees and to hack our way to where we want to go irrespective of what other may say or do. The middle path is where we confirm to society, but still do not lay down your soul to it; and stand tall in our own beliefs as nothing says it is me, till I square my shoulders and face up to society, and fight its ills. When I arrive at my chosen place, what I want to see or do is entirely up to me. I can walk along the shore of the beach and wade into the water of the ocean, and dwell in the life of the eternal waves and count my blessings. I can hike the mountain trails and admire the vistas and the forests, and seek higher knowledge. I can enter the dark night and awaken to beautiful dreams, as who is this dreamer and what is this reality, but only a figment of our imagination. I can enter a relationship and make one’s companion the most beautiful and cherished one, as after all I was put on this earth only to admire your loveliness warts and all. This journey I realize is not a destination to eternity but only a path to oneself. Where do all the beings go once they have completed their journey and why do we not sit with them when they want us and share the warmth of their inner glow. I know some who gained the world and still lost themselves in the stiffness of what they had become. I know other who lost everything and yet were rich beyond measure as their beliefs did not dessert them. The true being is the one who blossoms in his own light and needs no other. We seek their strength and need their love for in them we find the spark that we know we each had. Sometimes this spark is all we shelter in the storm of our life as we know if we lose it than all is lost. Do not despair when the spark is weak as I give you hope that you can rekindle it and let it grow. I give you faith in yourself as there is strength in you that can mold the universe around your little finger if you try. Reignite that fire and your life will become meaningful again, as there is nothing holding you back but yourself. Shine on as the glow inside is the power of life, that all of us possess. I sit alone yet I contemplate the ever expanding universe, and see it clearly in my own way. No one else can come and sit with you and see the same view, so contemplate and smile as this was all made just for you. Be happy as what is ours none can take away and that which is not ours does not factor into our happiness. Meditate on the now as the past and future are irrelevant and only a maya of karma or an illusion that distracts from the eternal truth. This I know, so pray Om shanti as peace is ours to have and to give. Do not expect others to understand your fire or appreciate it. Be blissful that it is only I who act, and only I who succeeds in this glory that is my life. To quote today’s Wall Street Journal “Mr. Obama negotiates more sincerely with Ayatollah Khamenei than he does with Congress.” The P5 +1 powers are racing against time as the 75 year old Iranian leader is suffering from Prostate cancer to get the Nuclear deal signed, as once he passes away all bets will be off, as to who will come to power in Iran. The Congress has been racing against time to repeal the law of the land in Obamacare and slip in abortion provisions in otherwise necessary legislation. According to Paul Krugman the new Republican budget proposals will be a giant transfer of wealth from the poor and middle class to the 1%. As all actions of the Obama administration are suspect from the get go and considered overreach at best and unconstitutional at worst, this kind of fear mongering is uncalled for. Let sensible and clear spending legislation be prepared by Congress and let the President sign it, so the country can go about its business to repair its ailing infrastructure. Holding up worthy appointees like Ms. Lynch for Attorney General will not aid the country or its business. Who is not negotiating in good faith is a question everyone outside the beltway can see, except for Congress and its baiters like the Journal, urging ever more divisions in faith, in an already fractured house. Sincerely the journal has sensationalized a la Mr. Murdoch the uber journalist and given no constructive opinion, and only added fuel to a raging fire. We deserve better from our elected representatives and the so called free press. Dharma’s wheel is on the move! Sitting in the front verandah watching the springtime flowers grow in the front lawn, I was transported back to my childhood. I reach for the newspapers and read the morning news, as I sip the morning tea and wish that the world had not changed from what it was. The barking of the street dog and the cry of the vegetable seller rose over the wall and we discussed the latest political shenanigans as parties and leaders changed. The people have voted decisively for cleaner government and swept the old ones from power and a new mood is in the air. Corruption is on the run and the corrupt are hard pressed to hide their ill-gotten gains, in the largest democracy in the world. The new budget lays out the foundation for social security through Insurance and micro lending as the poor and dispossessed have voted for change. The largely agrarian economy has to be transformed into a more urban state and employment on a vast scale is needed along with education and equal opportunity. In a land divided by innumerable castes, languages, dialects, age old customs of acceptance of a status quo, no one has the wisdom to change to a homogenous society. The paths like the Hindu way of life are numerous and the goals dispersed, and yet the nation marches on as one. The miracle is not in the diversity but in the unity of purpose, that the populace has shown. The socialist Nehruvian model taken to new heights by his daughter Indira by nationalizing all major sources of finance and economic development had led to the now infamous Hindu rate of growth. The soft state economy where the people were treated as the wards of the state, and licensed and permitted in almost all aspects of commerce and industry drove capital and entrepreneurship out. While the Asian tigers and China roared India whimpered creating the largest population living below the poverty line. The brightest stars of its IITs and AIIMs left in droves for more liberal economies and prospered beyond any ones imagination. The people suffered and voted for change but got none, and it was not till the late liberalization in the 90’s; that some of them returned and paved the way, for a modern India to start to emerge. Now new doors are being opened and the budget tries to bring sanity to a repressive taxation regime. The new schemes to tame inflation and ready the economy for a growth trajectory are being laid out. It will take decades to undo the damage done, but now an Indian Finance Minister with his friend the new PM bring a uniquely Indian perspective to growth and opportunity. Their delusions of grandeur are ripe for blossoming and the world watches in disbelief as the wheel starts to move. The Ashoka Chakra at the heart of the Indian flag is suddenly starting to turn pushed by the tireless efforts of its new leaders. If you can’t lend a hand then you had better step out of the way, as a new day dawns for a billion people, after a long and lonely night! PS: The starting of the wheel of Dharma’s motion, will destroy the stagnation of the Indian economy is my new hope. The new leaders will bring dynamic change, and the way of truth will reign again, bring death to the inertia that governed India. Virtue and compassion should be the governing principal under this national flag and prosperity will surely follow.